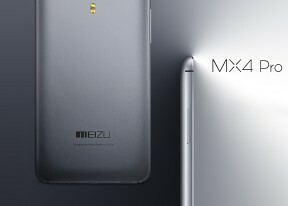 The web browser plays a central role in the Meizu MX4 Pro as evidenced by its shortcut's position - the middle shortcut in the dock at the bottom of the homescreen, which is usually where the app drawer shortcut goes (or the dialer shortcut). The browser interface dedicates almost the entire screen to the web page, save for the status bar on top and a tiny bar on the bottom for refresh, tabs and bookmarks. Choosing tabs opens a quick pop up preview of your open tabs instead of bringing up an entirely new screen, which is great as it still leaves the website your on in plain view. The browser supports double tap and pinch zooming. It's really fast and fluid too. There are also goodies like text reflow or sharing an URL over email or SMS. There's even a Reading mode that looks exactly like the one on the Apple iPhone. Normally we're against copying but the feature is a no-brainer that we'd like to see added to every major browser out there. The Meizu MX3 features a calendar that supports multiple online accounts. It offers monthly, weekly, daily and agenda views and is pretty straightforward to work with. Creating a new event lets you set which calendar to store it in, along with a reminder. The Calendar has a very minimal, clean look but retains all the functionality you'd expect. You can also go for the Google Calendar - it's available as a separate app from the Play Store. Moving on, we have the Clock app that will handle multiple alarms with custom repeat times, ringtones, snooze time and labels. There are also a stopwatch and timer integrated within the Clock app. A calculator app is also on board. Interestingly you can use it as an overlay to the homescreen. You can't manually resize it but you can choose between two size settings. It offers a currency converter too. The Memo app is clean and simple. You can add notes, images and even check lists into it. The Painter app will let you paint with a number of virtual tools, choosing different colors. The App Center works with only Chinese content but you can still use it, if you understand anything in it, that is. Thankfully the Google Play store came preinstalled this time - good on you, Meizu! The preinstalled file manager lets you browse through the memory of the Meizu MX4 Pro or through recents, or through different media types - music, videos, pictures, etc. It allows copy, cut and paste and also sharing of files on your device.